Last Thursday, we launched Two Truths and a Lie, a weekly Facebook Live on marketing and digital media. 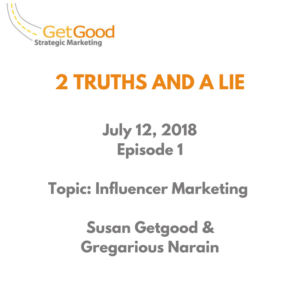 Every week, my co-host Gregarious Narain from beforealpha.com and I will dig into a marketing topic through the lens of two truths and a lie, or more accurately, a commonly held myth. 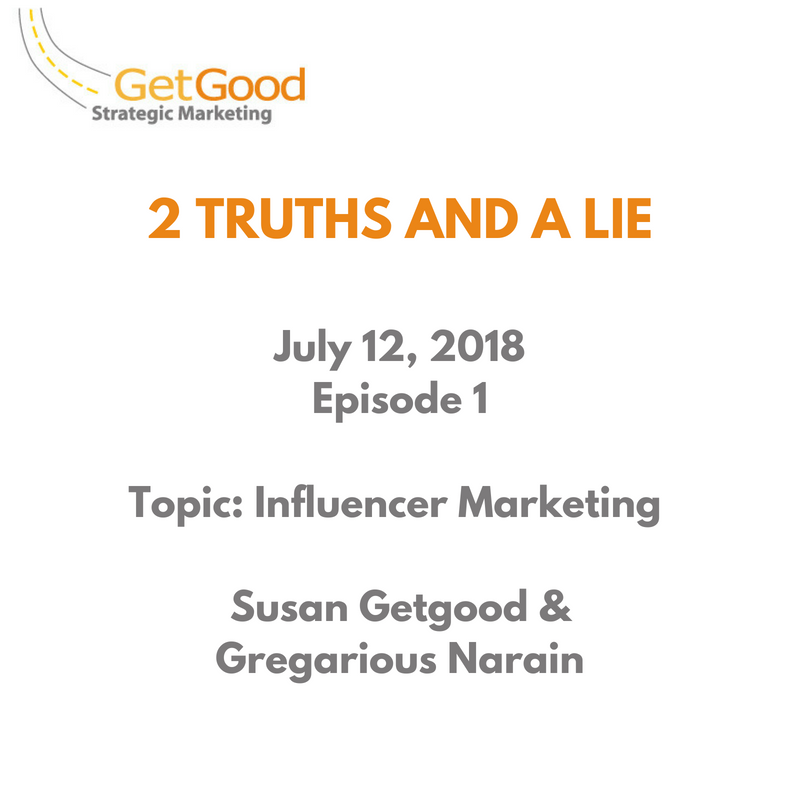 We’ll be joined by guests every few weeks for additional perspectives on the hot topics in digital and social media, but always through the lens of 2 truths and a lie. The show will be broadcast live from my Facebook page, and posted on both my Facebook and here on Marketing Roadmaps for those that would like to watch the full 20 minute show. The following day, a highlights version will be posted as part of the alphathoughts series on the Before Alpha LinkedIn page. In our very first episode, we discussed influencer marketing. The influencer marketing space is consolidating. Small audiences can be more effective than big ones. Influencer Marketing is full of fraud. Data privacy. A competitive advantage? An up-to-date list of speaking engagements and a link to my most recent headshot. 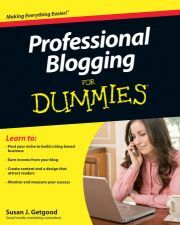 Use code Susan10 for 10% off.